Gorgeous, fully renovated home in the heart of Northeast Suffolk. 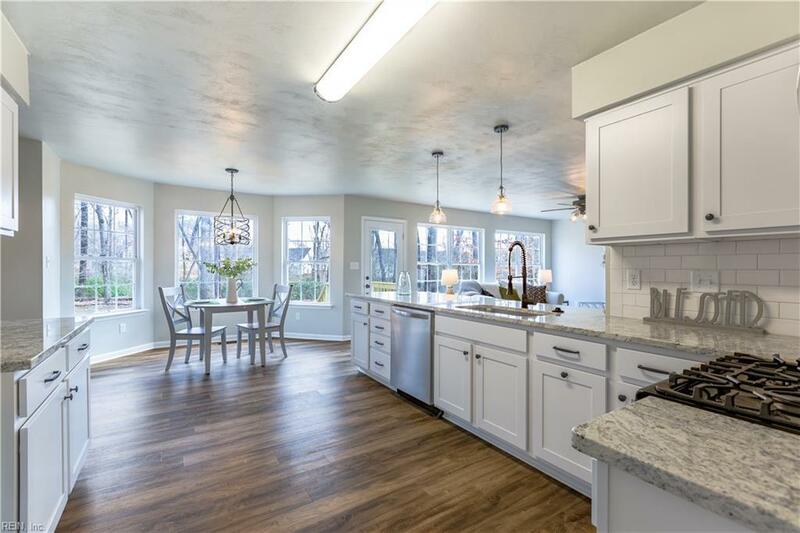 This open floor plan is perfect for entertaining and located on a beautiful cul-de-sac. Luxury vinyl plank flooring, paint, and lighting throughout create a clean, bright and airy feel. 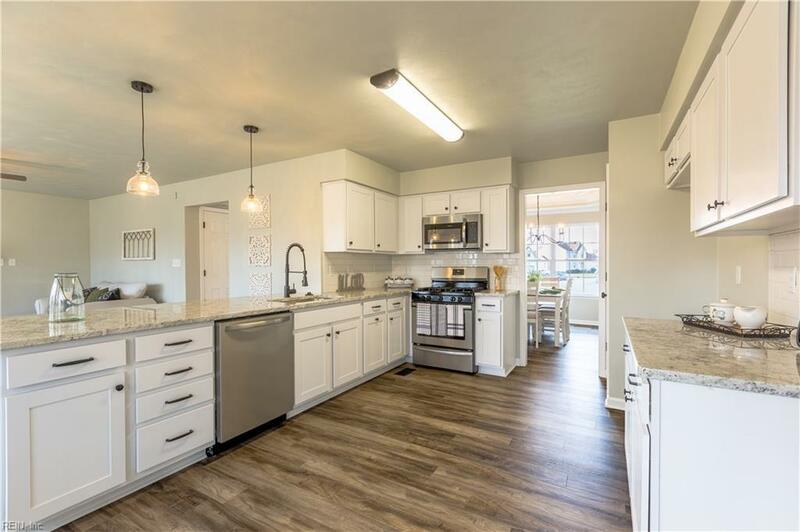 Stunning kitchen boasts granite countertops, brand new stainless appliances, new cabinets, and subway tile backsplash. This home also has a large bonus room on the main floor with a kitchenette that can be used as an in-law suite, teen space, workout room or man cave. 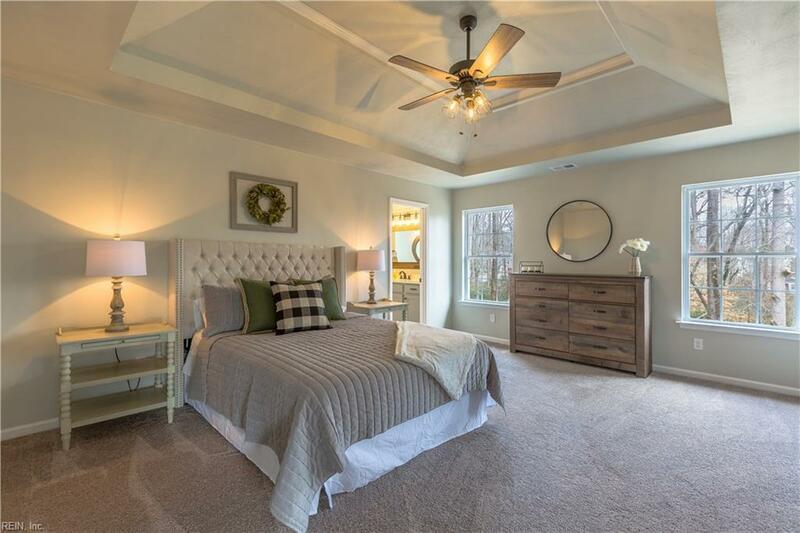 Upstairs you will find a gorgeous MBR with a fully renovated Master Bath complete with a large walk-in closet and two more bedrooms and a beautifully updated bathroom. Off the kitchen is a fourth bedroom above the bonus room with its own private bathroom. The options in this home are endless! 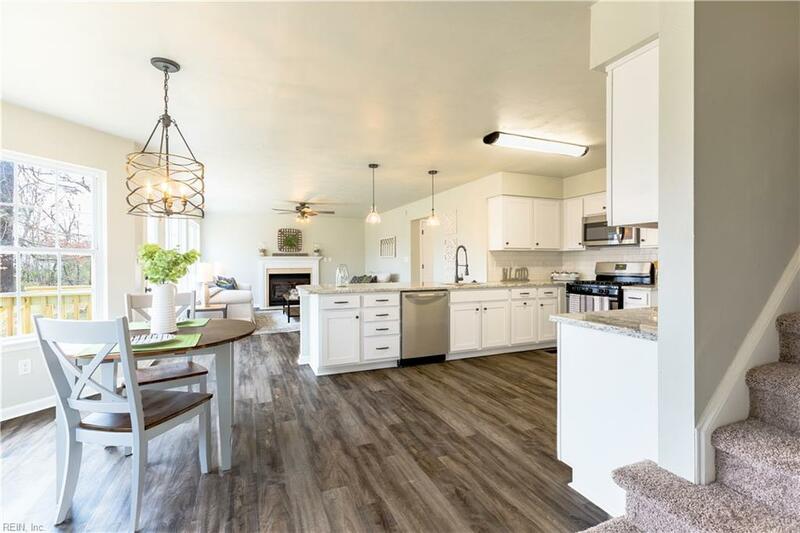 New HVAC, roof, exterior doors, gutters, and a split heating and cooling system for the bonus room on the main floor, ENSURE a stunning move-in ready home. Schedule your showing today!